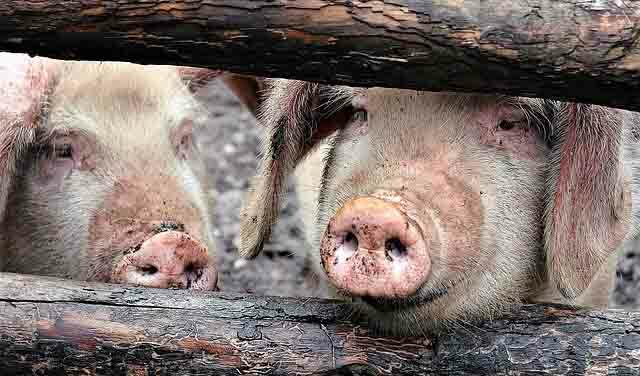 Japan’s swine disease epidemic is spreading, with local authorities in five central and western prefectures saying people venturing through mysterious tunnels to strange abandoned festivals have been turning into pigs. “We are facing an extremely serious situation,” farm minister Takamori Yoshikawa told a meeting at his ministry in Tokyo. The disease can only be cured if children can identify which pig is their parent before a set period of time. “If the child cannot recognize their mother or father, the parent will be spirited away to an abattoir,” said Yoshikawa. The government has denied alleged sightings of flying snake-like dragons.